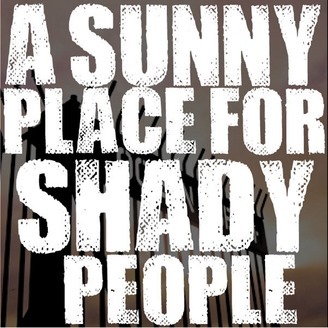 A Sunny Place for Shady People is a music podcast featuring interviews of some of the most interesting up and coming bands -- some local and some on tour. 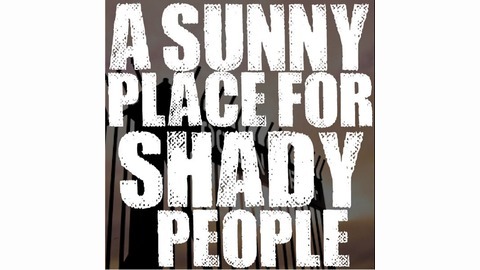 Whether recording in the ASPFSP studios or out on location at shows and festivals, Tommy Dubs, Mike McAfee, Doug Kunnath, and Dylan bring the best in new music by getting away from standard question/answer interviews and give you the opportunity to get to know these talented guests. Al Howard of The Redwoods Music and multiple San Diego bands is back to chat with Tommy, Mike, and DK. We get a little political - don't worry, you'll like it. And, if you don't, let us know by calling into the HYPE line - 619-354 HYPE. We'll play your take on the air.